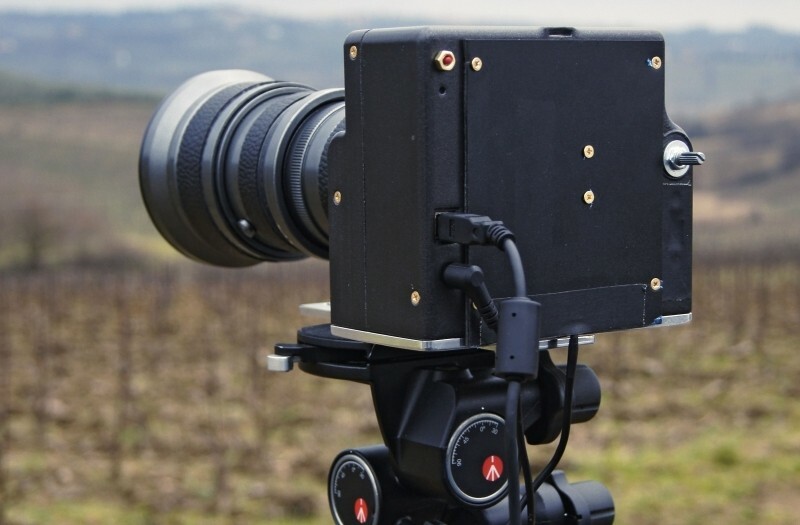 As a photography enthusiast, I’ve seen cameras of all different sorts over the years but this one from computer aided designer and photographer Dario Morelli may be the most unique yet. Essentially what he has done is take the guts from an Epson flatbed scanner and created a medium-format digital camera. Pretty cool, right? After extracting the scanner’s main board, sensor board and stepper motor, Morelli had to create a custom internal light for the scanner’s auto-calibration system. Without it, the scanner won’t even turn on. With everything set, he then created a custom enclosure that doesn’t look all that different from a camera from yesteryear. What is different, however, is how it operates. The camera lacks modern conveniences like a screen / viewfinder to help frame shots and needs to be connected to both an external battery and a computer to use (after all, it is a scanner at heart). Once it comes time to take a shot, the process can take as little as 15 seconds to as long as five minutes depending on the conditions and whatnot. The 143-megapixel output is quite spectacular – we're talking about a 16-bit TIFF that can be as large as 1.2GB. I don’t think anyone would argue that this isn’t exactly the most practical method for taking photographs but the ability to repurpose technology in such a way is extremely neat, not to mention the super-high resolution. Below are some samples images captured from the scanner camera.